Embellished with red and golden detail, this beautiful phoenix amulet key chain features the proud “queen of all winged creatures”: the phoenix. Carry this phoenix amulet key chain to welcome successful opportunities, meaningful relationships, outstanding dedication, and good fortune. 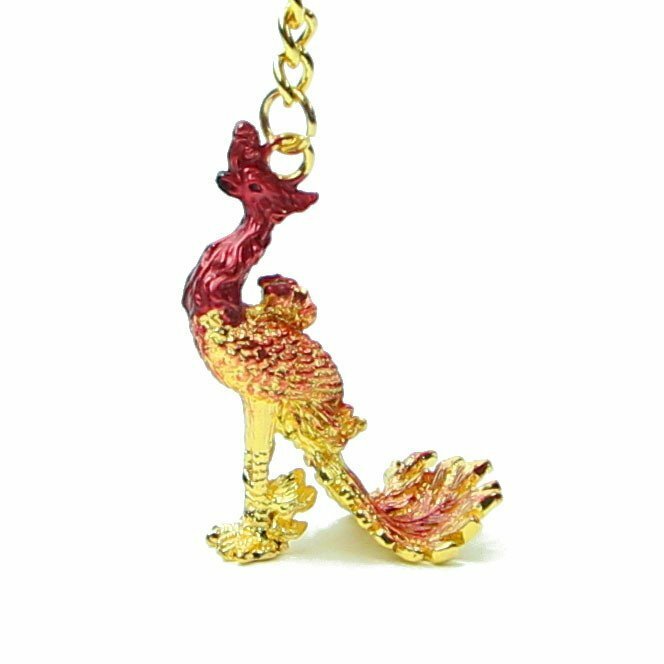 This phoenix amulet is easily transported, and can be strongly hooked onto your keychain, wallet, purse, clothing item, car, etc. The phoenix is the queen of all winged creatures, and strongly symbolizes feminine power, hope, and good fortune. While the dragon is the most powerful symbol of yang, the phoenix is the most powerful representation of yin. The phoenix represents new hope, change, resurrection, infinity, rebirth, luck, and new opportunities. The beautiful creature is often depicted rising out of ash; therefore, the phoenix is a symbol of the power of hope, good fortune, and opportunity luck. When placed with the dragon, the phoenix perfectly complements the yang of the dragon, and is also the perfect symbol of maternal comfort. 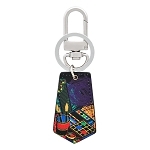 The dimension of the Bejeweled Phoenix Amulet Keychain is approx. 4" x 1.5" x 1". It is made of alloy.